BillPay offers the Payment methods “Purchase by Invoice” (Rechnungskauf) and/ or „Purchase by Direct Debit” for customers of the online-shop or respectively its owner (merchants) as an external service. Purchase by Invoice and Purchase by Direct Debit are only available to individuals if they have reached the age of 18 years. Please note that by Purchase by Invoice and by Direct Debit, the delivery address, home address and billing address must be identical. Herewith, you grant BillPay GmbH a SEPA-Direct Debit mandate to collect overdue payments and will instruct your financial institution to honor all Direct Debits drawn on your account. The BillPay creditor identification number is DE19ZZZ00000237180. The mandate reference number will be given to you at a later point in time via e-mail. The advance notice of the entry of the SEPA-Direct Debit will be sent to you at least one day before the due date via e-mail to the e-mail address that you specified during the ordering process. If the checking account does not have sufficient funds, the bank on its part shall not have any obligations to pay. Partial payments are not made with regard to Direct Debit. With the representation of the checking account you confirm that you are authorized to debit the corresponding checking account and will provide the necessary funds. Return debits are accompanied with high effort and costs for BillPay. In case of a return debit (for lack of required coverage of the checking account, due to expiration of the checking account or unauthorized opposition of the account holder), you authorize BillPay to submit the Direct Debit for each overdue payment obligation again. In such a case, you are required to pay the costs incurred by the return debit. Further claims are reserved. Given the effort and costs of returned direct debit mandates and to avoid any processing fees, we kindly ask you not to object to the direct debit in the event of a cancellation, rescission of the purchase agreement, a return or a complaint. In such case, following consultation with the merchant, the reverse transaction of payment will be effected by remitting or crediting the respective amount. If, in the event of a direct debit, the institution holding the account which has been charged with the direct debit returns the mandate resulting from the receivable of the contract of sale, based on reasons attributable to the customer, the customer is obliged to pay damages in the lump sum amount of EUR 4.10. The customer herewith reserves the right to provide evidence that BillPay incurred no or only minor damages. The contract of sale of goods is concluded exclusively between you and the merchant. The contract of sale shall be governed by the terms of the merchant. In particular, the merchant is responsible for general customer inquiries (e.g. about the goods, delivery time, dispatch), returns, complaints, revoking- and entitlement claims as well as credits. BillPay takes over the invoiced amount from the merchant after conclusion of the purchase agreement and shall be responsible for the payment arrangements. Payments shall be made only to BillPay’s account as specified in the invoice within the payment period set forth by the merchant. If you are a private individual (§ 13 German Civil Code or BGB) BillPay reserves the right to charge you with a late payment fee of EUR 1.20 for each payment reminder from the first day of default. You may provide evidence that BillPay incurred no or only minor damages. If you are a commercial customer (§ 14 BGB), the statutory payment default provisions shall apply. 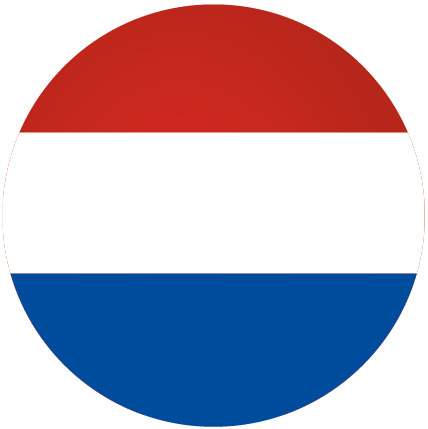 In the “My BillPay” Customer Portal (thereinafter: “Customer Portal”) you will have access to all orders you have placed with an online shop of each merchant via the payment method “Purchase by Invoice” offered by BillPay GmbH. You will be shown all outstanding and completed payments for each order placed. The following information will be displayed for each order: order number and date of order, name and number of goods ordered, order status, selected payment method, payment due date and payment status, payment amount and (if applicable) service fees. Via the function “My account” you may access your stored information such as first and last name, your e-mail address and change the password. It is possible that this service cannot be offered in individual cases, for e.g. for claims already dunned. An extension may be granted thrice per order for the respective online-merchant. The payment due date can be extended by 5, 30 or 60 days. For every deferment plans a service fee will become due, which will be shown upon your selection of the desired payment date. The service fee will be added to the initial debt and will become payable at the matured due date. Upon successful deferral of the payment date, you will receive an confirming e-mail. Therein is the increased bill as well as the new payment due date. Following the payment extension a change to the original payment date is no longer possible. Thus, a reimbursement of the incurred service charge is excluded. The Customer Portal may be used by individual persons, who are at least 18 years of age and who have already made a purchase with BillPay’s payment option Payment by Invoice in an online-shop. When registering for the first time, you must provide the e-mail address used for the respective order in the online shop as well as the order number. Thereafter, the user will receive a confirmation e-mail and must create a unique password, which will be linked to the e-mail address attached to the order and used for future login. The user may view all orders connected with all e-mail addresses. The login data shall not be disclosed or made available to others. It is the responsibility of the registered user to prevent as well as to inform BillPay, should he/she suspect a third party has unauthorized access to his/her Customer Account. BillPay will be mandated by the legal minimum requirements for possible warranty, liability or guarantee for any damages incurred by the registered user. The legal right to use the Customer Portal does not exist. At any point in time, a registered user may delete his/her customer account by contacting kundenportal@billpay.de. BillPay can at any point in time change, restrict or interrupt the Customer Portal. Specifically, BillPay grants no warranty, liability or guarantee for cases in which loss of data occurs, unless due to mandatory statutory provisions. BillPay reserves the right to delete the customer account access. In this data protection statement, you will learn how BillPay collects and processes your personal information. You will also be informed as to what rights you have vis-a-vis BillPay and how you can exercise these rights. You can contact us at any time if you have any questions regarding data protection or the protection of your privacy by sending an email to: datenschutz@billpay.de. The controller within the meaning of the German Data Protection Act responsible for data collection and processing in relation this website as well as with regard to the use of BillPay’s methods of payment is BillPay GmbH, a company of the Klarna Group, whose headquarters is located at Zinnowitzer Straße 1, 10115 Berlin. For further information, please refer to BillPay’s Impressum. Personal and contact information. Name, title, date of birth, street, house number, postcode, city, email address, telephone number. Payment information. Billing information, bank account. Information about goods/services. Information about products you order such as shopping cart and order history. Financial information. Scores shares by information agencies. Historical information. Information about your previous purchases with BillPay and payment history. Device-related information. For example, the internet protocol address (IP address). If the payment methods “on account” and “direct debit” of BillPay are selected, we will hold the payment claim. If you select certain payment methods, in particular “PayLater/Ratenkauf”, net-m privatbank 1891 AG, Odeonsplatz 18, 80539 Munich (hereinafter “net-m”) will be the holder of the claim (net-m payment method). In this case, BillPay will be responsible for settling the payment and the associated data processing for net-m as a technical service provider. You can find out whether the payment method you have chosen is an net-m payment method by referring to the general terms and conditions regarding payments methods. Information collected will generally only be used for the purposes of payment settlement and in this regard, to fulfil a contractual obligation with us. The individual processing steps are described below. As the holder of the payment claim of your contractual obligation with the seller (e.g. purchase), we are equally entitled to collect information about you which is required to enforce this payment obligation. This also includes the processing of information for the purpose of payment reminders and debt collections. For this purpose, your information may also be shared with third-parties whom we engage. The legal basis for the processing of data in this respect is the need to fulfil the contractual payment obligation. If you have selected an instalment plan via BillPay, your information will be sent to the partner company GiroSolution AG, Hauptstraße 27, 88699 Frickingen, and processed, saved and used by the latter in order to enable the first instalment payment. The legal basis for the processing of data in this respect is the need to fulfil the contractual payment obligation. If you select BillPay payment methods, BillPay will check, taking into account any possible default risks, if your wish can be fulfilled or if another payment method can be offered with the agreement of the seller. For this purpose, BillPay will conduct its own identity and credit investigation after confirming the desired payment method. The legal basis for the processing of data in this respect is the need to fulfil the contractual payment obligation. As part of this identity and credit investigation, the seller will share your information (last name, first name, title, street, house number, postcode, city, date of birth, email address, telephone number and, for purchases paid by direct debit, the bank account submitted, and any other personal details) as well as information connected with your order (e.g. shopping cart, order history, payment experiences, IP address, and personal information together with personal details) with BillPay. BillPay shares personal information collected as part of this contractual relationship regarding the application procedure, execution and end of this business relationship, as well as information regarding breaches of contract or fraudulent conduct, with information agencies. The legal basis for the sharing of data is the need to fulfil the contractual payment obligation. The purpose of sharing information with the information agencies is also to meet statutory obligations to carry out investigations of the creditworthiness of customers (sections 505a and 506 of the German Civil Code (Bürgerliches Gesetzbuch). 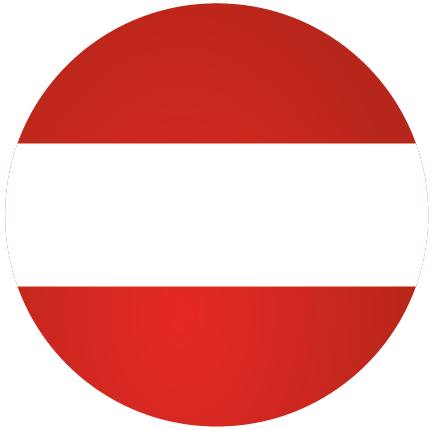 Regarding Switzerland, an EU adequacy decision pursuant to Art. 45 para. 3 GDPR has been adopted. 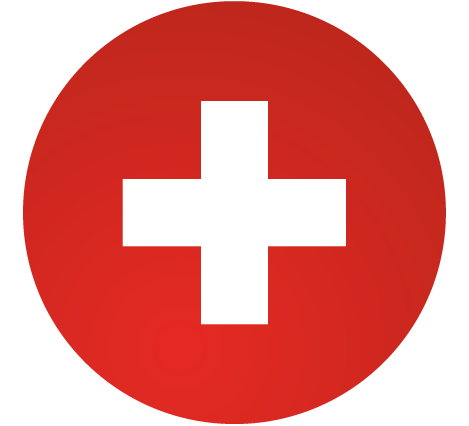 Consequently, the level of data protection available in Switzerland is also adequate. BillPay is part of Klarna Group. Therefore, other Group companies, in particular Klarna Bank AB (publ), Sveavägen 46, 113 43 Stockholm, Sweden (“Klarna”), may also be included in the credit investigation described above. As a result, the findings of a credit investigation may be shared to a limited extent with Klarna in order to improve the findings and processed by Klarna for its own future credit investigations. Conversely, the credit investigation and any decisions made on the basis of its result may, in some cases, be undertaken entirely by Klarna for the further performance of the contract. In this case, the relevant positive and negative payment experiences will first be transferred to Klarna and then deleted after the transaction is completed. The legal basis for sharing this information is the legitimate administrative interest of BillPay to compare and harmonise the decisions of the credit investigation with Group companies. The decision to permit you to use the payment methods of BillPay is an automated decision made on a case-by-case basis in accordance with Art. 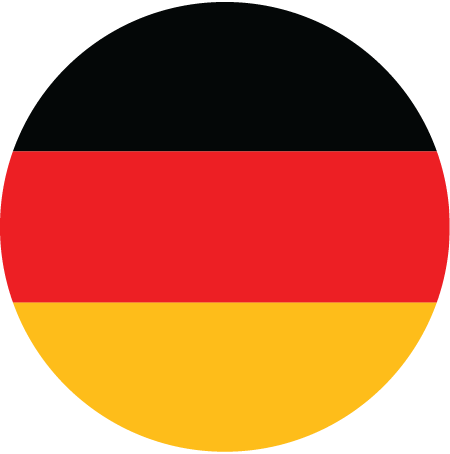 22 German General Data Protection Regulation (Datenschutz-Grundverordnung, DSGVO). This automatic decision is required for BillPay to assume and enforce the payment claim against you. If the score obtained for your creditworthiness is below a predefined limit, you will not be offered any BillPay payment methods. This will not involve any human judgement or decision-making. You have the right, if the use of BillPay payment methods is not permitted, to contact BillPay and to present your position and to argue for a change of decision. For this purpose, please contact datenschutz@billpay.de. For the purpose of preventing fraud, your information will also be analysed using certain parameters for patterns of improper or fraudulent conduct. External tools may be used for this purpose. In this case, your information will be transmitted on the basis of an order processing agreement. Information regarding conduct in breach of contract may also be shared with the aforementioned information agencies. Legal basis for processing is our legitimate interest in preventing fraud in the use of our services. BillPay has hired the services, as controller for fraud prevention through device fingerprinting, of ThreatMetrix Inc., 160 W. Santa Clara Street, Suite 1400, San Jose, 95113 California, USA. For these purposes, your IP address is processed in the USA and linked to other non personal data to generate a device fingerprint which can be used to recognize your device when you use BillPay again. An adequate level of protection is guaranteed through an agreement signed with ThreatMetrix Inc., which includes standard contractual clauses pursuant to Art. 46 II c) and Art. 93 II GDPR. We analyse the customer information collected to improve our services and plan the prepared resources. The legal basis for the processing of data in this regard is our legitimate interest in the further development and improvement of our services as well as in part the need to fulfil the contract. We may also use the contact information you submit to contact you by telephone or email and to inform you about BillPay’s services which you have previously selected or services similar to these. If you do not wish to be contacted, you can inform us of this at any time and without incurring any separate costs by writing to service@billpay.de. We also process your information if this is required to fulfil statutory obligations such as the storage of business documents or to fulfil a statutory obligation to share or otherwise disclose information. The legal basis in this respect is the need to fulfil a legal obligation. Personal information is processed in our website if this is required for the comfortable and error-free functionality of the website and the use of its features such as the processing of an inquiry. The scope of the data processing also depends on which features of the website you use. Unless otherwise stated below, the legal basis of the processing is our legitimate interest in the provision of the website and the respective features. The data processing is based on our legitimate interest to provide the website and to ensure and improve its functionality. The server log files continue to be saved after your visit ends in order to recognise and prevent any improper use. You can register for a customer account to manage your payments. To register, the password to be defined by you must be transmitted. This will only be used to process and settle your payment and to implement the features of your account. The legal basis for this is that it is required in order to perform the contract. If you use the contact from on our website to send us an inquiry, we will collect the following information for this purpose: Last name, first name and your email address as well as, if necessary, personal information which you voluntarily disclose in your inquiry. We use your information solely to respond to your inquiry. The legal basis for the processing in this respect is our legitimate interest in ensuring the functionality of the account and responding to your inquiry. If your inquiry directly intends to conclude a contract, the legal basis is the necessity for the pre-contractual obligation. If you would like to apply to us, you can do so centrally via the website of Klarna AB https://www.klarna.com/careers/locations/berlin/. Further details of the applicable rules can be found in the applicable data protection statement of Klarna AB. To optimise the user experience on this website, BillPay uses the services of the content delivery network (“CDN”) of Akamai Technologies AB, Hemvärnsgatan 9, 17154 Solna, Sweden and the latter’s parent company Akamai Inc., 150 Broadway, Cambridge, 02142 MA, USA. For this purpose, the web content requested from BillPay websites is routed over the Akamai server network. As a general rule, servers in proximity to the site user’s place of retrieval are used. By way of exception (for instance, in the event of attack, where site users are found outside the EU or should congestion be experienced within the EU), content can be directed over servers outside the EU, in particular servers in the United States. During utilisation of the CDN, both your IP address and data regarding your Internet use will, for technical reasons, be processed and analysed for fraud prevention purposes by Akamai. Both Akamai Technologies AB and Akamai Inc. fully comply with data protection requirements in all contract implementation. We have entered into agreements with both Akamai Technologies AB and Akamai Inc. including standard contractual clauses pursuant to Art 46 II c) and Art. 93 II GDPR in order to guarantee an adequate level of protection. The following provisions apply to the legal bases of the individual processing activities described above. With whom can we share your information? Companies of the Klarna Group. BillPay may share your personal information with other companies of the Klarna Group. This will be done if there is an administrative interest in sharing the information. In all other cases, the companies can be involved as subcontractors (see next paragraph). Subcontractors. BillPay may share your personal information with subcontractors and other third parties involved in the provision of services in order to fulfil the contractual obligations with you or for other purposes described in this data protection statement. This is always done on the basis of an order processing agreement in accordance with the DSGVO. Sellers. BillPay also shares your personal information with the online seller with whom you made your purchase, provided this is required for payment settlement or the transaction with the online seller. The processing of personal information shared with the online seller is subject to the data protection provisions of the seller. Information agencies. Information is also shared with information agencies to the extent described above for the purpose of identity and credit investigations as well as to prevent fraud. State agencies. To fulfil statutory obligations, information is shared with the relevant state agencies. What we will NOT do with your information. BillPay will not sell your personal information to third parties for marketing purposes. Where do we save your personal information? Your information will only be processed and stored within the European Economic Area. In certain circumstances, your may be transmitted by a company of the Klarna Group to a service provider or subcontractor in countries outside of the EU/European Economic Area and stored there. In this case, you will be informed about this separately in this data protection statement. BillPay will then take appropriate contractual, technical and organisational measures to ensure that your data is handled securely and that a level of protection is guaranteed which is commensurate with the data protection requirements within the EU/European Economic Area. We delete your personal information as soon as the legal basis for the processing of your information no longer exists and there are no statutory obligations to store this information. You have various rights in relation to the processing of your information by BillPay. Access under Art. 15 GDPR: In any case, you can request information about your stored data free of charge. Rectification under Art. 16 GDPR: If BillPay has saved incorrect information about you, you have the right in principle for the error to be corrected. However, on the basis of the existing risk of misuse, the correction of data must be done via the online seller with whom you made your purchase. In exceptional cases, BillPay may also make corrections directly. This requires proof of identity and that the change requested be correct. As an online seller, you may request the correction of incorrect information at any time. To do this, please write to the contact address specified in this data protection statement. Erasure under Art. 17 GDPR: In addition, you may have the right to block or delete your data. However, this right exists only if BillPay has no statutory obligation to store this data or another legal basis for the processing exists. Restriction of processing under Art. 18 GDPR: You have the right to obtain restriction of processing of your personal data when one of the reasons given in Art. 18 GDPR applies, in particular, upon request, instead of an erasure of your data. Data portability under Art. 20 GDPR: You can also request your data in a structured, customary and machine-readable format. You have the right to file a complaint with the competent supervisory authority at any time. Most of the cookies we use are ‘session cookies’ for the technical functionality of the website. These are deleted automatically after the end of your visit. Other technical cookies remain saved on your computer until you delete them. These cookies enable us to recognise your browser the next time you visit our website. We also use the following web analysis and tracking cookies. These are used to analyse users’ behaviour on our website and thereby to improve the presentation and provision of our services. These web analysis and tracking cookies are only used if you give us permission to do so. The legal basis for this processing is your consent. The individual cookies are as follows. You can withdraw your consent at any time by blocking it in your browser settings or by using the following methods to deactivate cookies. However, blocking cookies may mean that the features of the website can no longer be used at all or can only be used in part. If the processing of your data is based on the granting of consent, a predominant interest of BillPay or is done in the public interest or in the exercise of official powers, you have the right at all times to oppose the processing. In the case of data processing for the purpose of direct advertising, this will be done unless you oppose it. Otherwise this applies only if BillPay is unable to demonstrate any reasons worthy of protection which outweigh your interests.